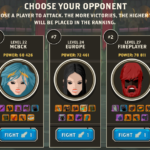 Currently you can fight against monsters in Campaign or against other players in the Arena. In both cases same rules apply. Using Spells consumes Action Points, each spell uses a different amount of it (visible at bottom of the spell’s icon). Using Melee Attack generates 1 Action Point. Hero’s basic attack. It attacks with damage equal to hero’s Attack statistic, its damage is reduced by opponent’s Defense. Attacks by amount equal to hero’s magic multiplied by 1,5; its damage is reduced by opponent’s Magic. Attacks all opponents by amount equal to hero’s magic, its damage is reduced by opponent’s Magic. Restores Health equal to hero’s magic multiplied by 0,7. Main Hands and Off Hands of rare and higher quality have Passive Skills. It means, that they has special perks, which will passively activate during combat when criteria are met (e.g. hero’s Health is below given percentage). Every skill has a detailed description describing what its mechanism and, activation and timing. 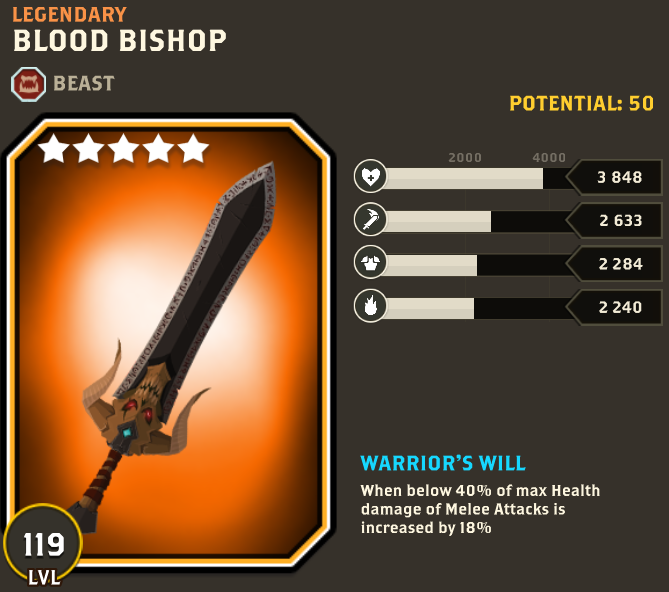 Most of the skills either increase or reduce a single type of damage (melee or spells). Critical hit happens randomly and when it does, it increases damage (this means value of attack is already reduced by opponent’s defense) by 50%. Critical strike chance can be affected by Passive Skills. Spells can not deal critical hits. When attacked with melee attack you have a chance to dodge the attack. It’s random and when it occurs the dodged attack does not inflict any damage. Dodge chance can be affected by Passive Skills. Using battle log you can analyse all actions taken during the battle – both by you and by the enemy. Log is available during the battle (at top of the screen) and on the victory / lost screen directly after the battle. When in Auto mode you hero is controlled by AI. This will generally yield worse results than playing manually, but allows you to save time. If you are stuck on auto (or SKIP) try playing manually – there’s a big chance you will be able to complete this stage! Button that allows to instantly skip the whole battle directly to the results. When you use SKIP your hero acts like he would if you played in AUTO mode, but you don’t need to wait. Arena is a place where you can fight other players and earn rewards for it. The arena is divided into Tryouts (a place where all newcomers start) and several Leagues. Every new hero starts his adventure with the Arena in Tryouts. When in Tryouts, your goal is to win as many fights as possible. All competitors are ranked by number of their wins. Heroes from the top of the ranking are promoted into the leagues every arena maintenance. When you fight in the Tryouts, you are presented with 3 opponents of similar power, from which you must pick one you want to fight with. If you lose you only waste one Arena Fight point, other than that there are no penalties. For fighting in the Tryouts there are no rewards. The main part of the arena is separated into leagues. The higher the league, the higher rewards for being in it. In the Arena you can play manually, but the opponent (attacked one) is always controlled by the AI. Most of the leagues are divided into Divisions (named with letters: A, B, C etc.) – all divisions of same league are equal, with same rewards and very similar difficulty. Assignment to divisions is random and you can not influence or change it. There are several types of Leagues. Starting from the highest one: Legendary, Diamond, Platinum, Golden I, Golden II, Silver I, Silver II, Bronze I, Bronze II, Bronze III. 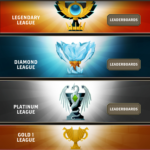 Each lower division has twice as many divisions as higher one (Legendary has 1, Diamond 2, Platinum 4 and so on). Every Arena Reload top players from lower league advance to higher one, and worst players from higher leagues are demoted to a lower one. Promotions / demotions are marked on the ranking. 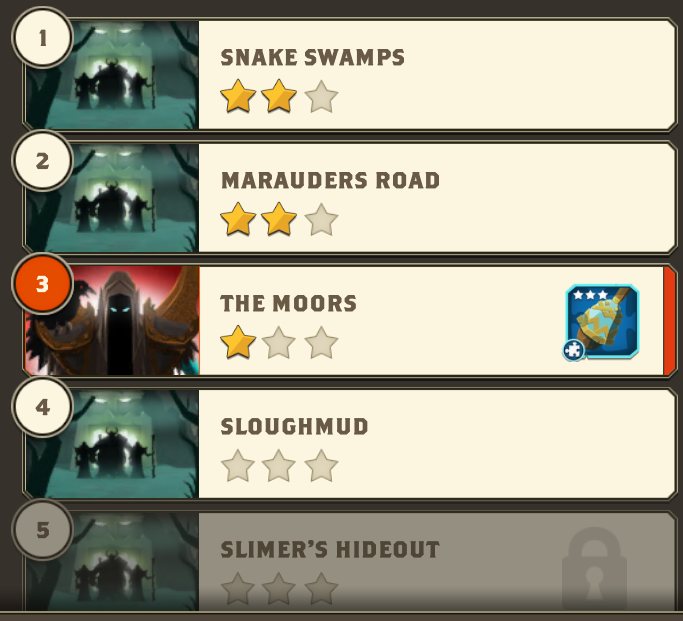 First promotion to higher league is rewarded with additional reward that can be seen on top of the “League Rewards” tab. There are 100 heroes ranked in every division. You can duel players placed few ranks above you (exact number depends on the rank and league – the closer to the top the fewer opponents you can challenge). If you win, you and your opponent switch places. Example: You were ranked #56, attacked someone ranked #53 and won. Now you are #53 and he is #56. Attacked players can be offline – if they lose they will received notification (if they allowed them). You can see the history of attacks on you by clicking “Duel history” next to your character in the League. Daily rewards you receive for League depend on your rank. Exact list can be seen in “League Rewards” tab. During each arena reload, top rank players are promoted to the bottom of the higher Leagues and those lowest ranks are demoted to the top of lower league. 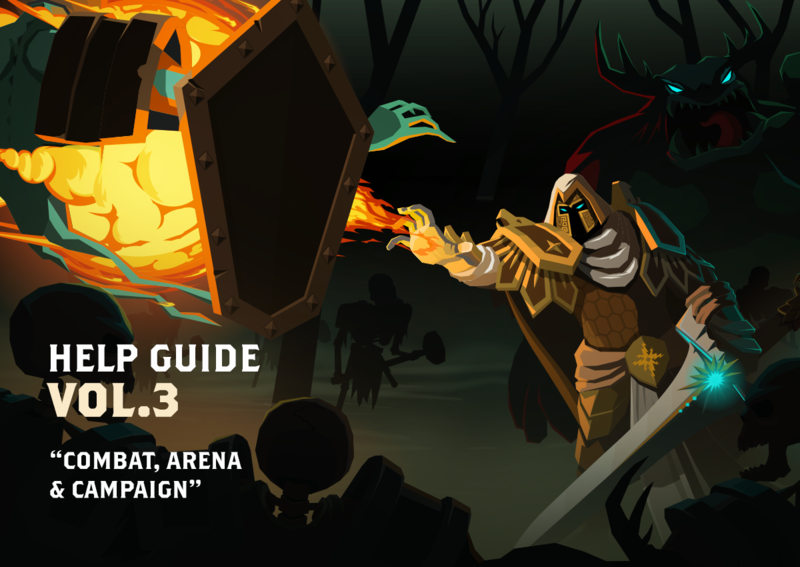 All rewards for the Arena are sent to your Mailbox. Daily rewards for rank in the League include: Gems, Reforge Powder and Honor. Rewards for first promotion additionally include Arena Tickets. Rewards for the promotion to higher league are a one time thing, rewards for the rank are sent every 24h (at night, exact time depends on region). Rewards can be seen in the “League Rewards” tab. Fighting in the arena, both Leagues and Tryouts, costs an Arena Try. They are limited to 3 and can not be overfilled (you can not have more than 3 at the time). They replenish by automatically at rate 1 per hour. You can also use the Arena Tickets to instantly add one Arena Try. Usage of the Arena Tickets is limited by your VIP status. Every 3 days, at night (exact time depends on region) arena is closing for some time (about 30min) for the maintenance. During the reload players are promoted/demoted between the leagues and Tryouts. Approaching Reload Time can be checked in the League Leaderboard tab, at the bottom. In campaign you progress through more and more difficult locations. Progressing through Campaign grants you rewards and helps completing Quests. Each location has several Stages. Completing a stage requires winning battle in it. Fighting on a stage requires completing every previous stage. Boss Stages end with a unique, difficult opponent. Winning them grants a chance to loot extra, special items visible in the description. Each location on each difficulty has a special rewards that can be unlocked by collecting required amount of stars. Stars can be earned by winning fight on each stage within the round limit. Limit is individual for each stage and can be seen by taping “i” button in the stage popup. Campaign can be completed on 3 difficulties marked by skulls. One is easiest and 3 is the most difficult. Each difficulty has to be progressed separately, and has unique rewards for completing both Boss Stages and for collecting Stars. In the campaign you face different enemies, all of them match one of the archetypes. All enemies of one archetype, look and fight in a similar way. It’s a good idea to adapt your actions to enemy’s type – some of them are more resilient to melee attack, other to magic; some pose bigger threat, other lower. “Opponents of similar power” in the arena? You need to fix your matchmaking, you really do. There is NOTHING similar between me and people who come up in the 3-man lineup I get, both stat and power-wise. Winning 1/10 games, at best. Either introduce the re-shuffle button, or check your algorithms – they are flawed as hell right now. Sorry to hear about your Arena troubles. Could you send us an in-game support ticket so that we can look into your account and better help you? Thank you! I just wanted to share my experience with the game so far. I truly like this game, Ive been playing it for a year and half cca. Everything was great but after reaching higher power (350k or so) the game stopped being rewarding for the amount of time that Im spending in it. Even though I try my best in events I still get rewards that would be interesting like 10 levels before (I have power 433 533 but I usually get stuck in lower golden league)… I really do enjoy this game but it feels like it stopped being rewarding and it stopped pushing me foward. And the Arena system is one big mess honestly. I could’t get in contact with in-game support so Im here, keep up the good work and thanks for reply. Thank you for your feedback. When starting up the game, there should be line of text that says “Contact the Developers”. That should bring you to the in-game support chat. Also, in-game, you can go to More > Support > and on the top right, you’ll see a text box icon. When pressed, you’ll be directed to the support chat where you can get in contact with support. Hope this helps! I can’t fight in the arena. I am in silver 2 league. I do not see my name listed or ranked anywhere. Been 2 or 3 days already. Please fix! Please send an in-game support ticket so we can handle this matter! Thanks! The hit limit is set in place because there can be situations where two players will never defeat each other. 70 hits was the amount chosen. Thank you for your feedback regarding this mechanic!